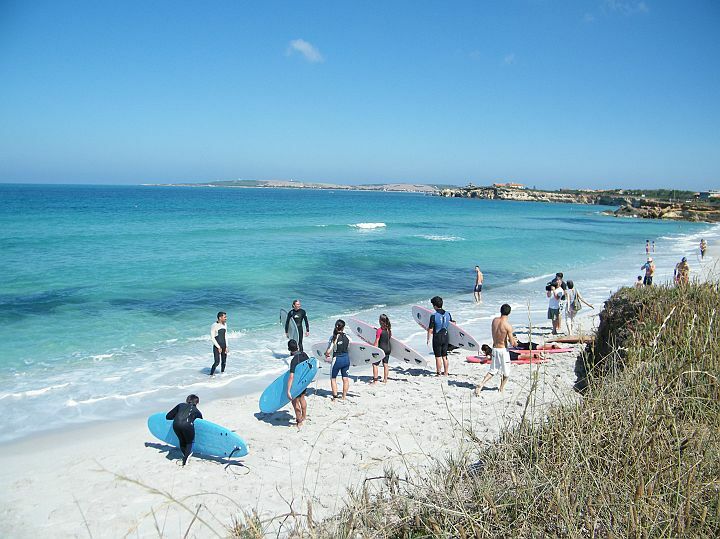 The Is Benas B&B Surf Camp and Resort area is located in the middle of the Sinis Peninsula, five minutes walk from a wonderful withe beach and main surf spots. The main Capo Mannu Surf spots area are only 1,5 km away. The Surf School Beach headquarter is located directly on the beach and is just 2 km away from the Surf Camp. The Resort is a few steps from transparent sea and close to the best spots in Sardinia as Capo Mannu, S'arena scoada, Sa mesa longa and S'archittu. The Apartments and Villa are located in Putzu Idu, 1,5 Km away from the surf camp resort and close to the surf school. 4 days flat / 1 day 1,5 swell:-)!